SEATTLE-Sept. 1, 2012-Spectators at the Evergreen Speedway in Monroe, today watched State Fair (and Speedway) history as the first ever compressed natural gas (CNG) Pace Truck took to the course. Republic ran two pace trucks; one truck flew the American flag as they drove side by side around the track. "People come to the races to see something spectacular," said Mike Huycke, Republic Services' Northwest area president. "People in the racing industry appreciate technology. We are excited to showcase technology making a difference in our communities." "This is an unusual and creative way to display the power of CNG. Our giant red, white and blue trucks are green through and through," he said. "Don't let the quiet engine fool you. This truck packs a lot of muscle." The truck weighs in at 38,000 lbs. but it "treads lightly on the environment," added Huycke. Converting one diesel truck to CNG is like taking the equivalent emissions of 325 cars off the highway every day. With one of the largest CNG fleets in Puget Sound, Republic reduces the equivalent emissions of millions of cars each year. Republic Services' CNG pace truck started the NASCAR races at 6 p.m. Saturday, driven by Scott Jennings, a long-time recycle truck driver. One of four drivers representing the various divisions in Washington State, Jennings has received multiple awards for his excellent safety and employee records that span more than a decade. A die-hard NASCAR fan, he was thrilled to take a test lap with about 20 dragsters last week in preparation for Saturday's big night. "It is a thrill to be on the track, my rear view mirror filled with race cars," said Jennings. "The energy is tremendous. The speedway did an amazing job - we are thrilled to be part of the event." Huycke, Jennings and Republic Services are proud to be supporters of the Evergreen State Fair in Snohomish County and ready for the NASCAR races on Saturday night. At the start of both 50-lap NASCAR races, Republic Services' CNG recycle truck will fly a U.S. flag in tribute to the first responders who have valiantly battled a tough wildfire season this summer. The flag on display was flown on one of the rigs at the Taylor's Bridge fire. Republic acquired the flag with the help of David Burke, Fire Chief for District 45 located in Duvall. District 45 is one of many fire departments around the state who have sent volunteers to fight wildfires in eastern Washington this summer. "Republic Services is proud to help honor Washington State's firefighters at the State Fair this year," said Huycke. "These men and women risk their lives under incredibly difficult conditions. They deserve tremendous appreciation for what they do." Speedway president Hobbs encouraged the use of the state fair's most popular race night to recognize first responders. He said it was the perfect segue way to the following weekend's tribute when first responders get into the races for free. 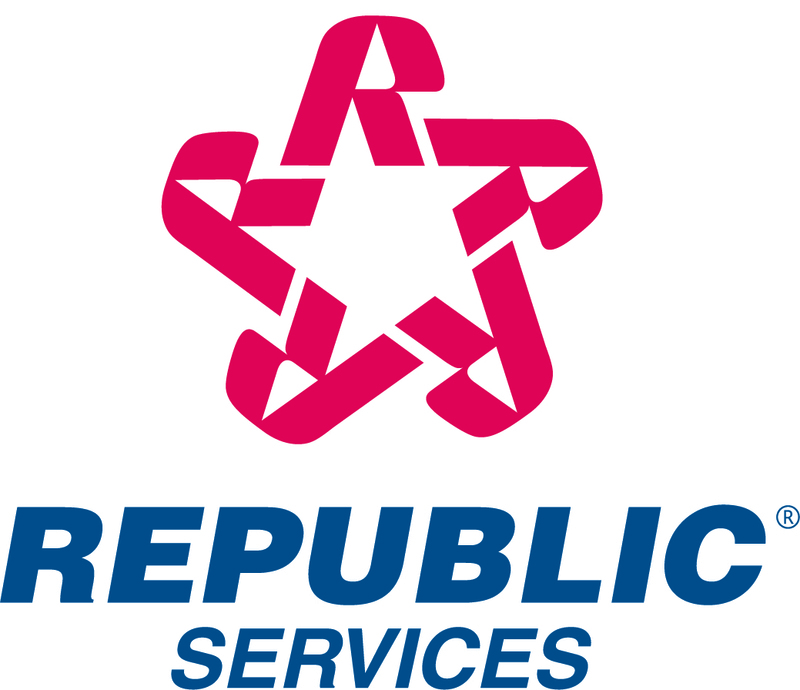 Republic Services, Inc. is an industry leader in the U.S. non-hazardous solid waste industry. Through its subsidiaries, Republic's collection companies, transfer stations, recycling centers and landfills focus on providing reliable environmental services and solutions for commercial, industrial, municipal and residential customers. Republic and its employees believe in protecting the planet and applying common sense solutions to customers' waste and recycling challenges. For more information, visit the Republic website at republicservices.com.